Happy October fam!!! I can't believe the year went by so fast...and it's time to think of keeping our rad selves warm for Fall/Winter. 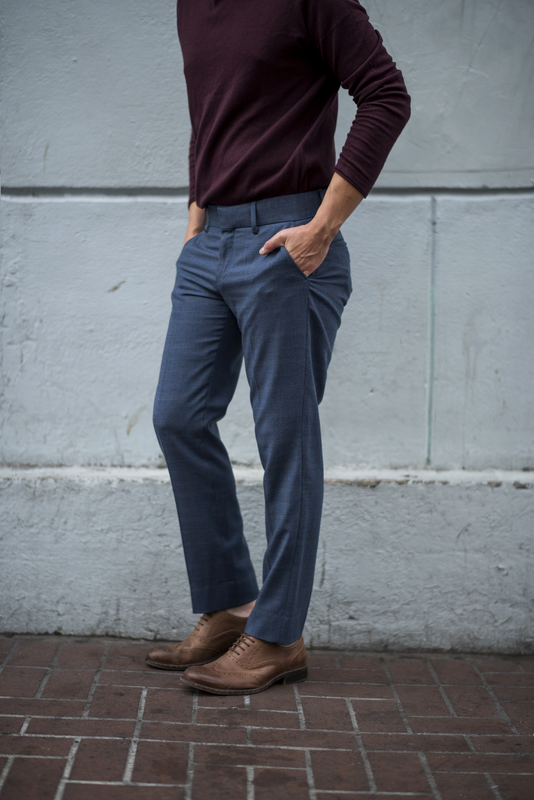 If you're like me, and from time to time work at the office, you wanna make sure you're on you're A-Game + stay warm without compromising your style. 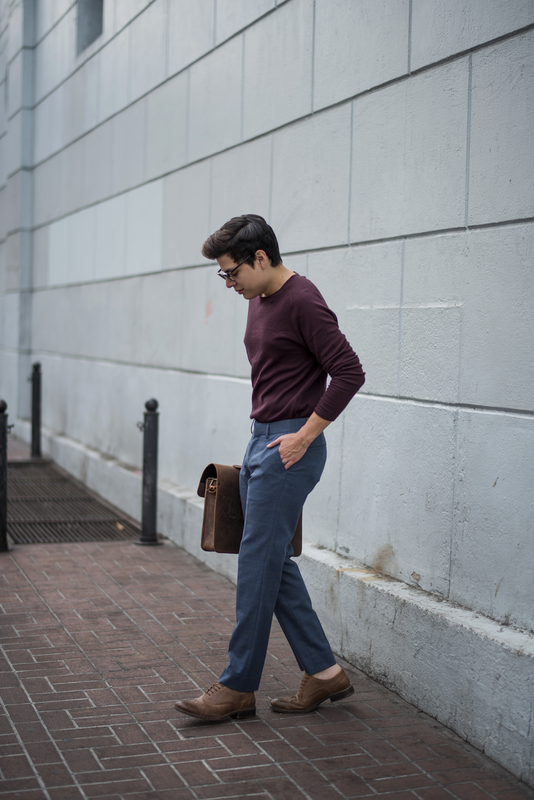 I have these trousers from Brooklyn Wolf on rotation and I like to pair it with simple colors to still draw attention to the pants design, color, and texture. 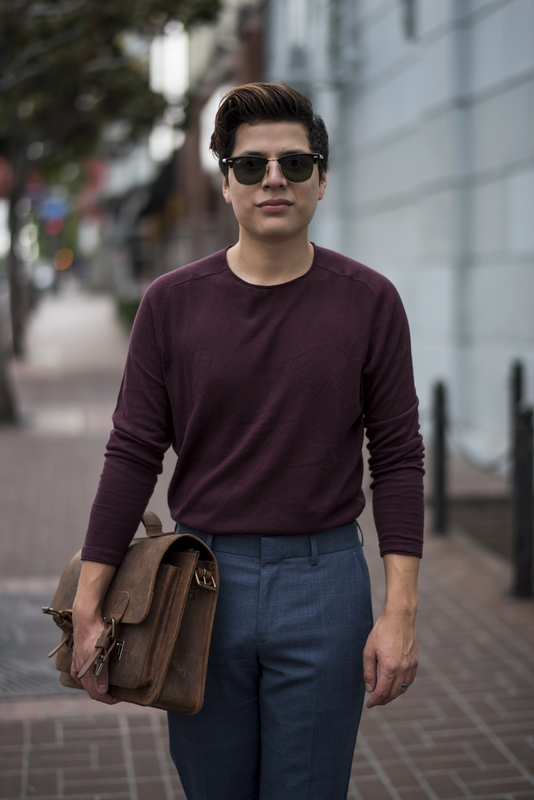 Transitioning from a button-up shirt to a thin sweater will sure keep you warm and looking awesome! I scored this at Zara just a few weeks ago and I can wear it with both casual and business formal outfits. Can't forget my handy dandy Ruitertassen computer bag; ever since I've been using this bag to carry my laptop to work or whenever I head out of town for the past six months straight and I get compliments upon compliments on how awesome it looks. One thing I love is that you can remove its straps and turn it into a briefcase. ANOTHER thing I love, is the durability and quality; the leather is still in the same shape as the day it landed on my doorsteps. And this "one-opened-buckle-style" could really become Ruitertassen's trademark!